ARC believes that abortion – like any other medical procedure – is a private matter between a pregnant person, their medical provider, and whomever they choose to tell. We believe that abortion should be free, safe, and legal. Pregnant people deserve compassionate healthcare and support, no matter their reason for having an abortion. This post looks at some of the problems with the current legislation when it comes to privacy and abortion care. The Health (Regulation of Termination of Pregnancy) Bill 2018 includes a mandatory waiting time of three days. Not only are mandatory waiting periods medically unnecessary, they are also a violation of a pregnant person’s privacy. The required three-day wait separates out people who need abortions from other patients and makes it harder for people to keep their abortion private. Mandatory waiting periods totally contradict the idea of the pregnant person as the decision-maker and stand in opposition to ideals of patient-centred care. A article from The Times UK uncovered that certain anti-choice groups regard the mandatory waiting period as an opportunity to target and intimidate people seeking an abortion. For example, a UK-based group called Family and Life has admitted to creating an “action programme” that manipulates the proposed three-day forced delay with anti-abortion propaganda, including a national advertising campaign, spending €7,000 on targeted social media advertising, and spending €10,000 to provide every GP in Ireland with a booklet written by anti-abortion organisations. When asked to comment on which crisis pregnancy counselling agencies they would be including in this campaign, the group refused to engage with The Times journalists. Rogue crisis pregnancy agencies which deliberately mislead women facing crisis pregnancies about their reproductive options, including abortion, invade pregnant people’s privacy in order to manipulate their decisions about pregnancy. In Ireland, these groups can escape scrutiny because they do not receive public funding. In fact, the Times UK article made the link between the UK anti-choice group Family & Life and Gianna Care, an unregulated anti-abortion agency operating in Ireland which has made the misleading and false claim that “all women who have an abortion regret it”. A similar agency in Ireland named the Women’s Resource Centre was exposed in 2016 by undercover reporters, having falsely claimed to that abortion increases the likelihood of breast cancer, miscarriage, sterility and child abuse. While Minister for Health Simon Harris has pledged to crack down on the “misleading nonsense” pedalled by rogue agencies, the Health Service Executive has stated in the past that they are in a constant battle to counter the false information circulated by such organisations. This ongoing challenge highlights the urgent need for clear and robust legislation to regulate such agencies alongside the government’s abortion legislation. In certain states in the US, anti-choice groups have undermined principles of informed consent by getting legislation passed that forces pregnant people to jump over unnecessary hurdles to access abortion. These include mandatory “counselling” which typically contains false, stigmatising and dangerous information intended to dissuade them from having an abortion, or medically unnecessary procedures, such as ultrasounds, prior to their abortion. Anti-choice politicians attempted to insert such provisions into the current Health Bill as it progressed through the Oireachtas. Their attempts were unsuccessful but it is likely similar attempts will be made again when the legislation is up for review – we must remain vigilant and let our TDs know that we refuse to accept such provisions in our abortion law. Rules about reporting abortion-related data have also been used as a tool by anti-choice campaigners to regulate pregnant people’s choices. For example, forcing healthcare providers to record the reasons for a person’s decision to terminate a pregnancy is both medically unnecessary and a violation of the pregnant person’s privacy. Ensuring access to safe abortion involves taking a stand against anti-choice harassment and intimidation outside of medical facilities. In a UK-based survey, people who’d been to clinics said that presence of anti-choice protesters felt like a clear invasion of their privacy and was an attempt to stigmatise their healthcare decisions. Medical practitioners’ privacy and personal safety are also threatened by the presence of anti-choice harassers, as research with clinic workers in Canada found. With abortion services due to roll out in a matter of weeks, it is time for the Government to explain how it intends to carry out its promise to secure safe access zones. What can be done to safeguard privacy in Ireland? Include only provisions that are medically necessary. Respecting patients and their privacy involves basing practice on medical evidence. This entails getting rid of the stigmatising and impractical mandatory waiting period. Equally, no one should be forced to answer medically irrelevant questions, such as the reason they want an abortion. The Department of Health have repeatedly expressed their willingness to regulate and ultimately outlaw rogue agencies. 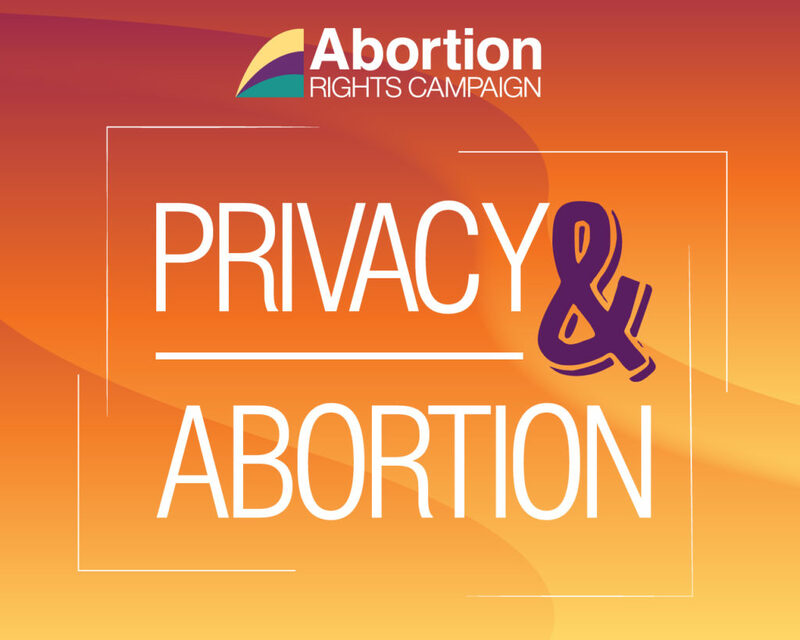 The recent statements by anti-choice agencies, as well as the use of graphic imagery outside maternity hospitals during the referendum campaign, make clear that the appropriate protections and regulations must be implemented as soon as possible. Safe access to healthcare facilities is essential in order to protect the safety and privacy of pregnant people and their healthcare providers. If you feel strongly that patient privacy should be protected, contact your TDs or write a letter to the editor.